Some weeks ago, I was lucky to spot a Mercedes-Benz SLS AMG Black Series at the famous public point ‘Brünnchen’ at the Nordschleife, better known as the Nürburgring. 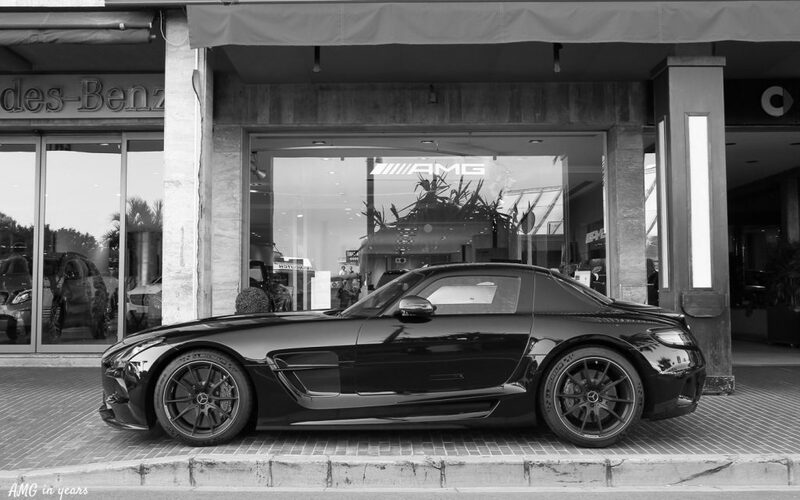 A good reason to make the SLS Black Series our AMG of the month. 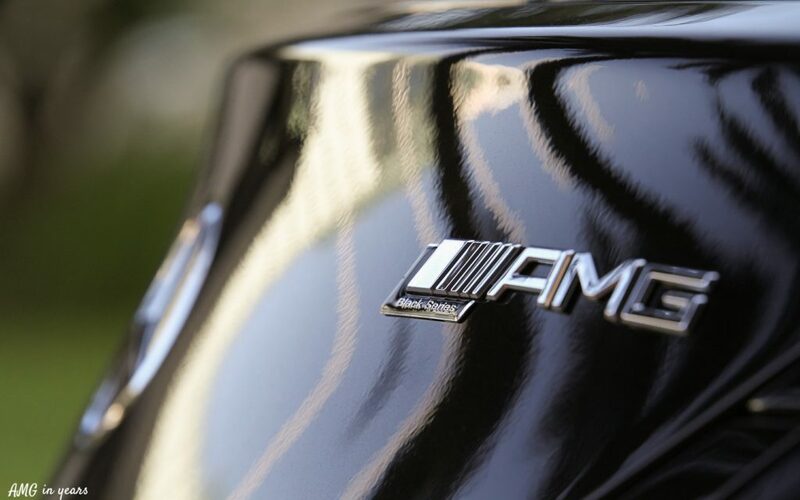 AMG never released the official number of produced units. Some sources say 200 units but that seems low as only in the US 150 units were registered. Around 500 seems more reasonable. 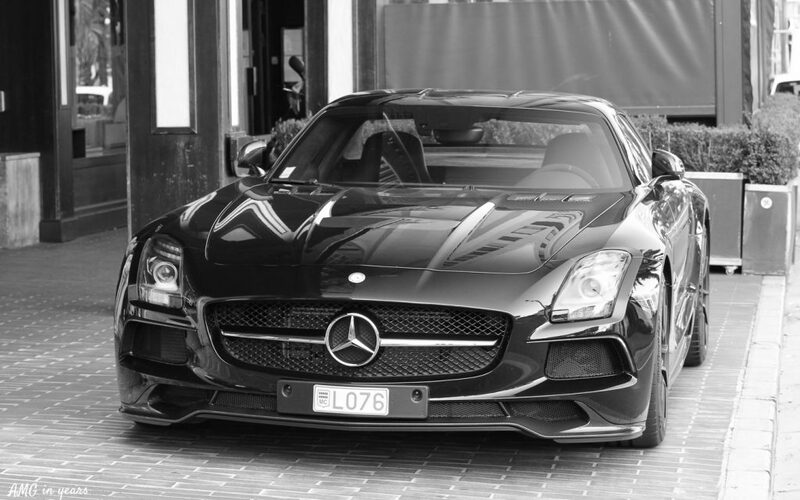 The SLS Black Series was the 5th Black Series model. 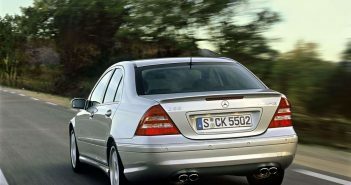 Earlier creations were the extremely rare SLK 55 AMG Black Series (2006), the CLK 63 AMG Black Series (2007), SL 65 AMG Black Series (2008) and C 63 AMG Black Series (2011). Thanks to the “AMG Lightweight Performance” strategy the weight dropped to a DIN kerb weight of 1.550 kg. 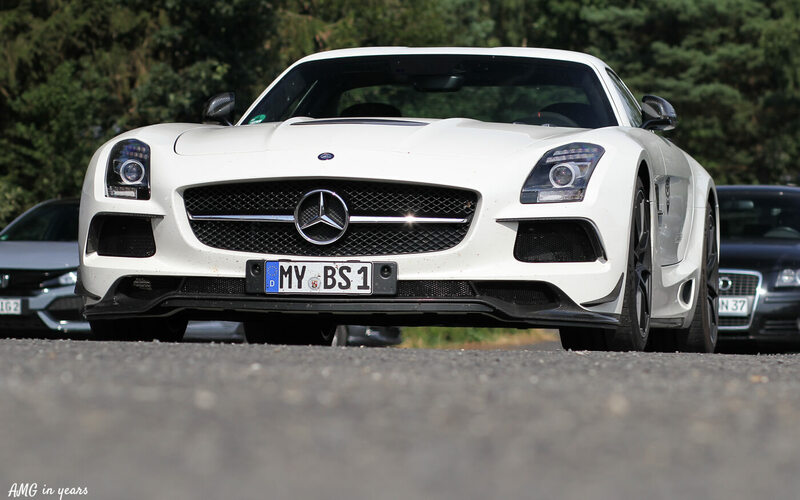 This makes the Black Series 70 kg lighter than a ‘standard’ SLS coupé. Weight was reduced thanks to several parts in carbon fibre: bodywork, diagonal braces on the underbody, torque tube between engine and transmission and a carbon fibre-reinforced plastic drive shaft. The atmospheric 6,2 l V8 M159 that weighs 205 kg delivers an output of 631 hp and 635 Nm of torque. In combination with the AMG SPEEDSHIFT DCT 7-speed sports transmission a sprint from 0 to 100 km/h is possible in 3,6 seconds and the top speed is 315 km/h. The extra power was possible thanks to several adjustments: (1) maximum engine speed from 7.200 to 8.000 rpm, (2) a revised high-speed valve train with modified camshafts, adapted cam geometry and optimized bucket tappets featuring a special coating specific for racing cars, (3) a modified air ducting intake and (4) adapted engine application and increased peak pressure. The crank assembly was also optimized: a modified oil bores in the crankshaft, a new crankshaft bearings, a new oil pump and high-strength screwed connections for the conrods. Also the oil and water cooling system was further optimized. Even more striking is the additional support system for the V8 engine. A gas filled strut braces the V8 on the body in order to eliminate load change reactions in highly dynamic driving on the race track. 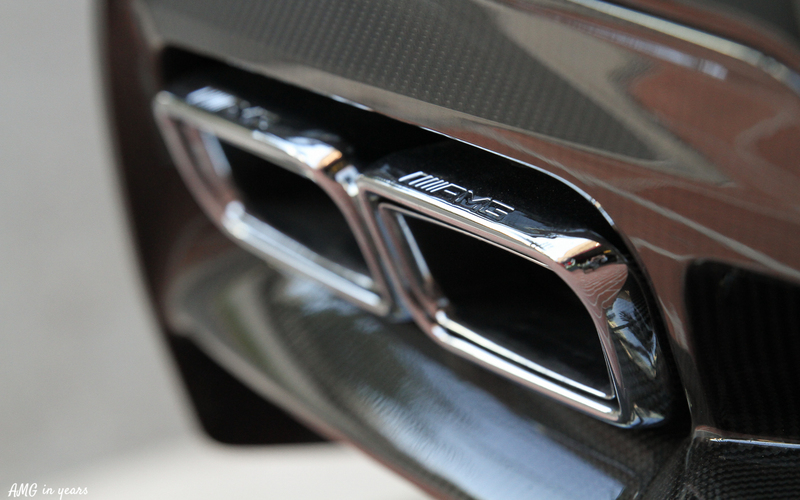 There’s a specific AMG sport exhaust fabricated from titanium instead of steel. It saves 13 kg weight and the rear mufflers produce one of the most characteristic sounds. 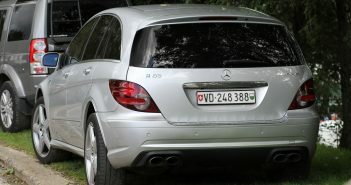 An electronically controlled AMG rear-axle differential lock replaced the mechanical differential. This system has variable locking effect in acceleration and deceleration mode and thanks to increased reaction times it has a stabilising effect as it is able to attenuate the vehicle’s yaw rate around its vertical axis. AMG ceramic composite brake system as standard: brake disc size of 402 x 39 millimetres at the front and 360 x 32 millimetres at the rear. The SLS AMG Black Series could be fitted with a fixed ‘Gurney flap’ rear spoiler instead of the adjustable foldable one that came standard. As last ‘did-you-know’: the SLS Black Series was only available (officially) in 7 colors of which Solarbeam Yellow was exclusively developed for the Black Series. SLS Black Series in Monaco.